We look at what you need to consider when buying jewellery. Buying jewellery as an investment is a gamble. You can't count on it rising in value and it's hard to predict what's going to be collectible in the future. But many of us buy jewellery anyway, for emotional or sentimental reasons. Even if it won't make you a millionaire, it's still valuable and worth protecting. Though "gold" tends to inspire the image of the traditional yellow kind, there are many different types, from rose to white. Alloys with different metals create the various "colours." Gold plated (GEP): metal with a thin layer of gold on the surface, usually applied by electroplating. Gold filled (GF): a thin outer layer of gold on a base metal such as iron, nickel or lead. This is created by a process called bonding, in which the gold layer is bonded to the other metal rather than simply plated over the top. Rolled gold (RGP): this is made by the same process as gold filled jewellery, but with a thinner layer of gold. Originally developed as a substitute for platinum, white gold is gold alloyed with at least one white metal. Its inherent colour is somewhat grey, so it's often coated with rhodium to give it a brighter finish. White gold is currently very popular, but jewellery made from it can have problems. If the gold is alloyed with a high-quality metal such as platinum or palladium it will retain a good whiteness even when the rhodium wears away. But if it's a lower-quality nickel mix it will need regular re-plating to maintain the shine. It's recommended that this is done once a year, which represents a significant cost – $45 to $95 per re-plating. Jewellers risk breaching the Fair Trading Act if they don't warn consumers about re-plating requirements before they buy. According to Steve Crout, President of Jewellers and Watchmakers New Zealand, "Platinum is the king of metals, because it is the toughest." Because of this strength, jewellery can be made from almost pure platinum. Traditionally platinum's been the most expensive of the metals, but the rocketing gold price has put gold ahead – "the fashion for white gold is now driving people to platinum!" says Crout. Most precious metals are too soft in their pure form to make jewellery, so they’re alloyed with other metals. Jewellery made of a precious metal should be stamped to show its purity – either as carats or millesimal fineness. Carats (ct) indicate the level of precious metal in the alloy and are measured in units of 24. 24ct is 99+ percent pure, whereas 14ct is 14 parts metal and 10 parts alloy, or 58.5 percent pure. Millesimal fineness indicates parts per thousand of pure metal in the alloy. For example, 925 is the fineness of sterling silver, meaning it's 92.5 percent silver and 7.5 percent copper. Our table shows how carats and millesimal fineness correspond to each other. When it comes to gems, carats refer to weight rather than purity. 1.00ct of gem weight equals 0.2 grams (about the weight of a paperclip). A carat is one of four factors (“the four Cs”) that determine the quality of a gemstone. It's possible for two gems of the same carat to differ in value because of differences in the other "Cs": colour, cut and clarity. The way a gem is cut draws the eye to the richness of its colour and brilliance. A poor cut can lower a gem's value. Clarity refers to the presence – or absence – of flaws (inclusions) in a gem. Flawless gems are extremely rare; even very expensive ones will have some inclusions. Fun fact: The priciest diamond ever sold in New Zealand was a 4.85 carat solitaire. It was sold in 2011 by Webb's Auctions in Auckland for $229,000. Well-known chain stores such as Pascoes, Michael Hill Jeweller and Stewart Dawsons sell nationally. But there are plenty of other avenues if you are interested in something local and unique. Jewellery and carving design teachers Owen Mapp and Hanne Eriksen say, "There are so many amazing artists in New Zealand selling in local shops. You can also talk to an artist and see if you can get something specially designed – many artists do commission work." Tip: Check whether the person or store you are buying from is a member of the Jewellers and Watchmakers of New Zealand. Its members are bound by a code of conduct and it provides a process of arbitration if there is a problem that can't be resolved between you and your jeweller. If you prefer vintage jewellery, antique stores can be a good source. John Fyson, antiques dealer, says "shops that deal in antique jewellery have staff with an interest and knowledge of it." Look for a reputable antique store that is well known in the collector community. Auctions are another good source of vintage jewellery. Bettina Frith, Dunbar Sloane's jewellery specialist, says it's possible to get items for as little as a third of the valuation price, and adds that auctions offer jewellery to suit all budgets. "Pieces range from valuable antiques to general household stuff, and costume jewellery which sells in tray-fulls." Inventory is available to view beforehand and you can ask to see valuations. At an auction, have a figure you are prepared to pay and stick to it. Then you won't get caught up in the rush and end up paying more than you intended. Auction houses charge a premium which is split between the seller and the buyer – Dunbar Sloane's is 17.25 percent, including GST. Unlike Britain and Denmark, New Zealand doesn't have a hallmarking system (the practice of putting a mark on items made of precious metals to confirm their quality is up to the legal standard). However, do check antique jewellery for hallmarks, as much of it was imported from Britain – but be careful, as they can be faked. Check the trader's history and feedback. Ask questions about the origins of the item and its authenticity. Ask for receipts and valuations to be posted online. If the trader is new with no previous history, be wary – especially if they are selling valuable items. If they cite a particular website as a source of the item, check it. If you are suspicious, hit the community watch button at the bottom of the page to report the trader to site administrators. It's also a good idea to look for traders who have a business membership. Then you have a physical location to contact if something goes wrong. Many in the industry say the increase in jewellery sold online has led to big problems for consumers inadvertently buying fake stones. Jill Towers, Chair of the Gemmological Association of New Zealand (GANZ), says there are a growing number of heavily treated stones coming onto the New Zealand market, many of them sold cheaply over the internet. There may be some tell-tale signs – the colour's too good, or the stone's too clear. But often no-one knows they're fakes, even the sellers. Towers advises buying New Zealand-made jewellery, and buying stones from a reputable local dealer "because then you can always go back to the seller if there's a problem. Don't buy off the internet unless you have researched well and are prepared to take the gamble." Precious jewellery is valuable and easy for thieves to transport – or for owners to lose! "Jewellery can be one of the most expensive items people have," says Karen Stevens, Insurance and Savings Ombudsman. But often it's not adequately covered by insurance. A common problem is that people assume jewellery's automatically covered by their house and contents insurance. Policies often do cover such items as "unspecified jewellery" or "personal effects". But if the cover is unspecified, it will have a limit – usually between $2500 and $3000. Some policies have an aggregate limit in which maximum claims for unspecified jewellery can be as much as $3000 per item and $15,000 in total per event. But find out whether this is the case before such a claim is necessary. You’ll also need to prove ownership by providing original receipts, colour photographs or detailed descriptions. If you can't prove you owned it in the first place your claim may be declined. Tip: If you have valuable jewellery, itemise each piece: photograph it, get a valuation and list it separately in your insurance policy. Keep receipts and valuations separate from your jewellery. It's also a good idea to have extra protection such as a safe and burglar alarms for valuable pieces. As well as keeping your jewellery secure, measures like this may lower your insurance premiums. However, even owning a safe won't necessarily guarantee a pay-out, as one complainant found out. Her expensive diamond ring was stolen on a day she'd taken it off and put it down somewhere in the house. But her policy stated the ring was only insured while being worn or kept inside the safe – and this was a fundamental condition. The insurance company was within its rights to turn down the claim. The value of precious jewellery is subject to fluctuation along with currency exchange rates and the price of metals and precious stones. Because of this, some insurers require policy-holders get new valuations each year. There are 2 main types of insurance values for jewellery: replacement and indemnity value. Replacement value is the cost of repairing or replacing the item to an as-new condition. Insurers sometimes refer to this type of cover as “new for old”. These valuations are often higher than the price you paid, and also higher than you would get if you sold the item. This is because they provide the insurance company with an outer limit of its exposure to risk – the maximum it could expect to pay for the raw materials and labour needed to make a replacement. Indemnity value, also known as market value or present day value, is the cost of repairing or replacing an item so that you’re left with something of a similar age, quality and condition. There is no regulation for jewellery valuers, so technically anyone can set themselves up as one. However, insurance companies will increasingly only accept valuations from qualified gemmologists and valuers. There are 2 valuers’ organisations that the Insurance Council of New Zealand recommends: the Jewellery Appraisers Society of New Zealand and the Jewellery Valuers Society of New Zealand. Both societies require their members to be qualified and to adhere to a code of conduct. The cost of a valuation can vary from $50 to $115, so it pays to shop around for quotes. It’s best not to think of buying jewellery as an investment – you can’t count on it rising in value. Buy it for personal reasons rather than financial. Make sure you know what you’re getting – buy from a reputable source and understand what the markings mean. Be wary of buying expensive jewellery, particularly stones, online – you may not be covered by the Consumer Guarantees Act and could have difficulty contacting the trader if something goes wrong. Retailers need to make sure consumers are informed about any requirements such as regular re-plating before they buy. Look after your jewellery – keep it clean, store it securely and get it insured. Conflict, or blood, diamonds (and other gems) are stones from countries undergoing civil war. The proceeds are used to fund the operations of rebel, military or terrorist groups. The Kimberley Process (KP) is a UN-mandated certification system set up in 2000 with the aim of preventing these diamonds from entering the supply chain. New Zealand has been a signatory since 2005. Under this system, only rough cut diamonds with a government-issued certificate can be imported and exported, and only countries that are part of the KP can import or export rough diamonds. Failure to comply results in being struck off the list. However, some critics have accused the system of being unreliable, particularly in the wake of the certification of over $200 million worth of diamonds from Zimbabwe's Marange fields, notorious for human rights abuses and violence towards workers. If you are concerned, ask your jeweller where their stones come from (stones other than diamonds can be "conflict" also) – they are provided with invoices to ensure their diamonds are from legitimate sources. It's much harder to check the origins of stones bought over the internet. "Most people never clean their jewellery," says Steve Crout, President of Jewellers and Watchmakers New Zealand (JWNZ). "But they don't realise that cleaning not only makes a huge difference to the look of the jewellery, it also increases its value and longevity." JWNZ recommends that jewellery such as an engagement ring, which is worn every day, should be cleaned once a year. If you take it to a jeweller, this costs between $5 and $20. Some may even do it for free. But you can also clean it yourself using household items such as dishwashing liquid, warm water and ammonia. 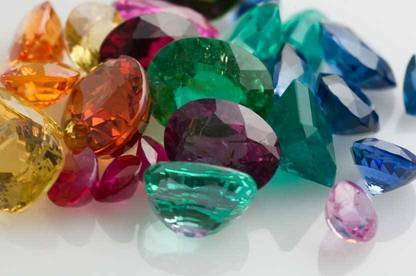 But make sure you know what you are doing first – some household chemicals can damage delicate gemstones. If you're unsure, go to a professional. Fun fact: Diamonds attract grease! In fact, this can be a good way to tell if they are genuine. Good article but you have been misinformed about the most expensive diamond sold in New Zealand. There are a couple of white diamonds that have sold for over $500,000, and at least one pink diamond much higher again. Jewellery sales: Not so special?